✅ Rainbow Lana Kimono – It came out bigger than anticipated (like my last one) but I think it will be cozy for my friend to wear. She works at a bank so I have a feeling it will keep her cozy in the coming chily months. 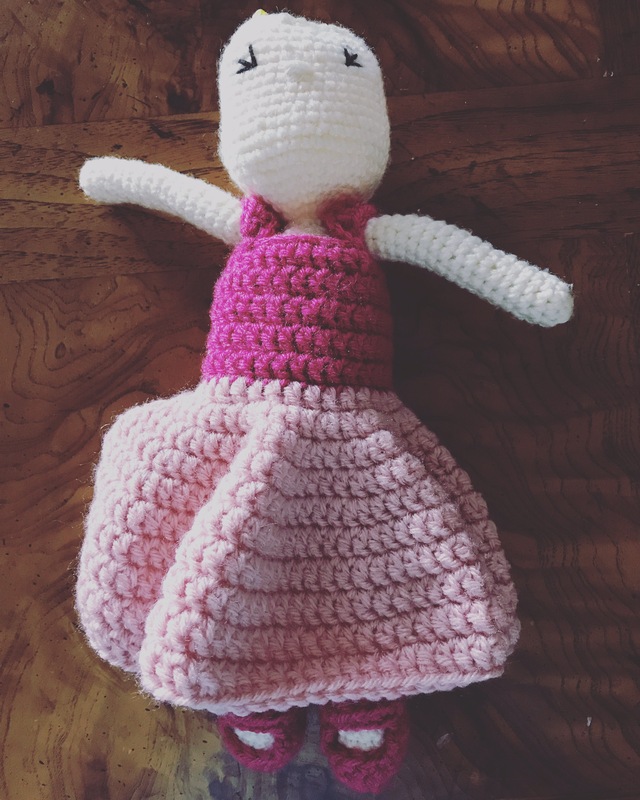 Dolls – Again, no time to work on them. Things are crazytown over here! Sparkly Lana – Progress! I take her to church with me and crochet during worship. I find that my brain allows me to focus so much better when my hands are busy. 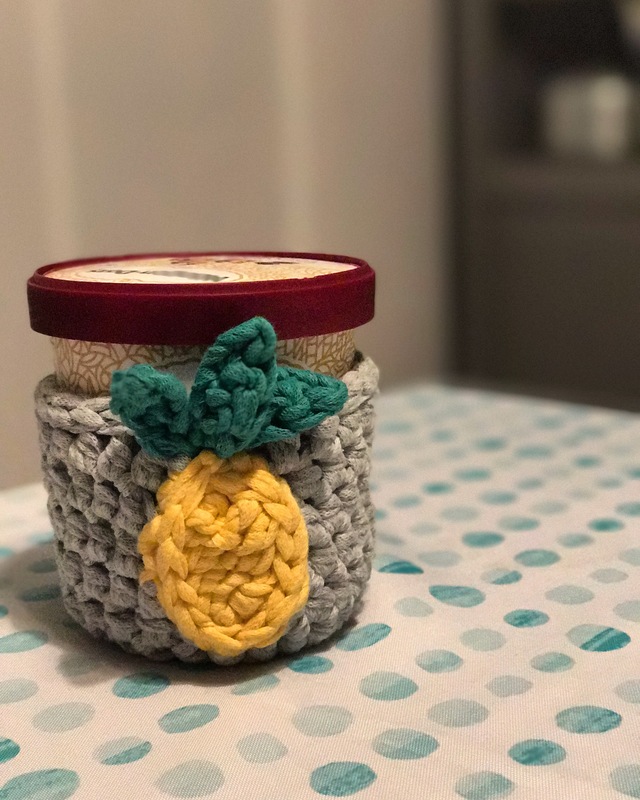 Ice Cream Coozies – I have a couple crocheted without their embellishments. I designed this 3D pineapple. not sure if I love it but all the other pineapples I keep finding are coming out too big, or they curl too much when I use a bigger hook. I am going to test out doing embellishments with Lion Brand 24/7 cotton so it’s still in the cotton/polyester family, but I’m not sure hoe they will look and if they’ll attach properly. Thoughts and ideas welcome! 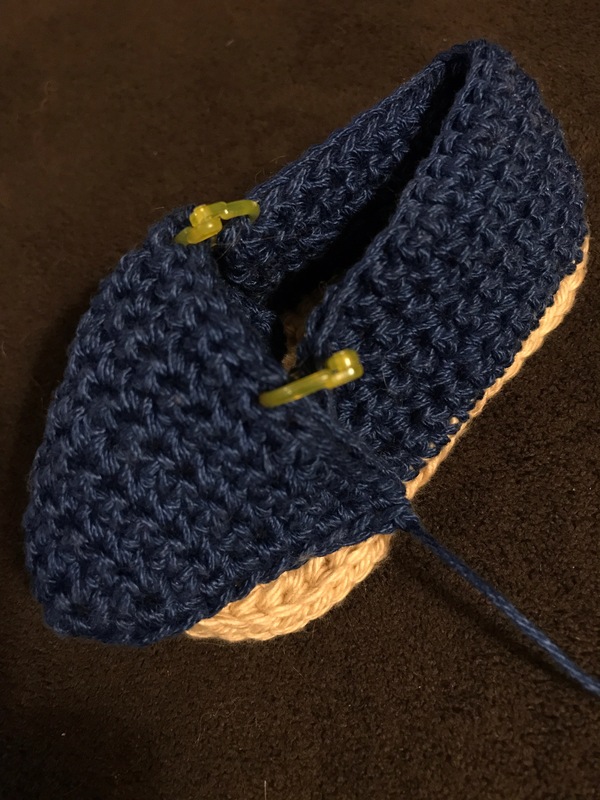 WIP Wednesday is one of my favorite parts of the week, sharing the progress I’ve made in my crocheting each week. I love that using a blog will give me the space to share all 7 of my current WIPs. 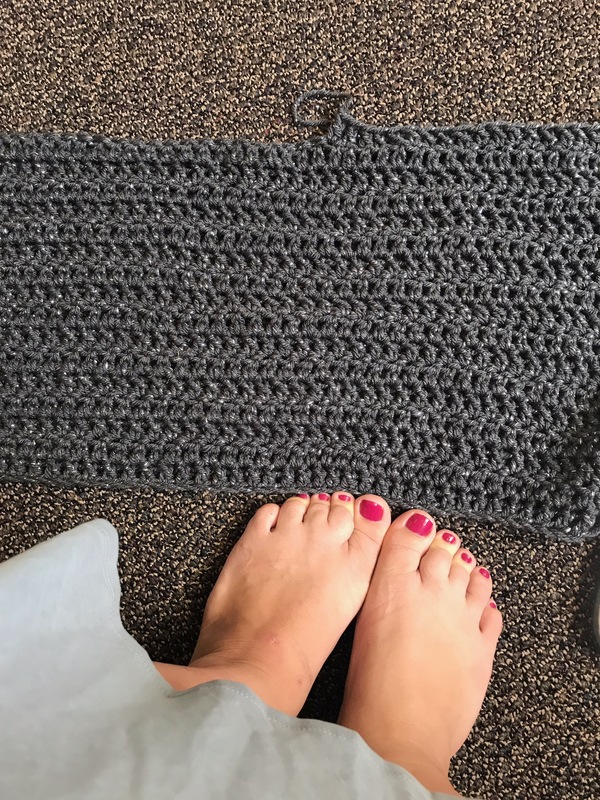 I want to know what you’re working on too so please fee free to share your WIP Wednesday with me (or any other day)!!! I’ll start with the easiest projects, numbers 1-4. I am working on 4 Lana Kimonos by Ashleigh at Sewrella. She’s one of my faves and I’ve learned most everything I know about crochet from her. 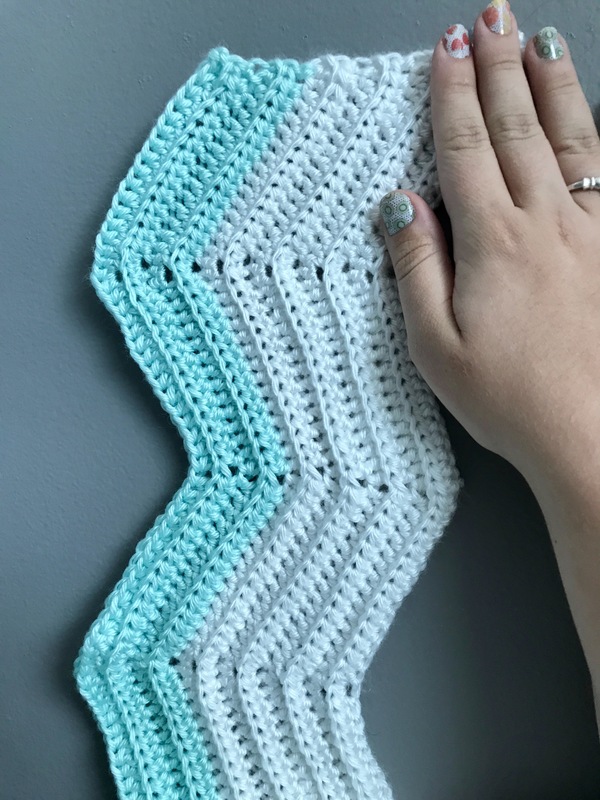 ❤️ This beautiful piece is a super easy, mindless crochet project. 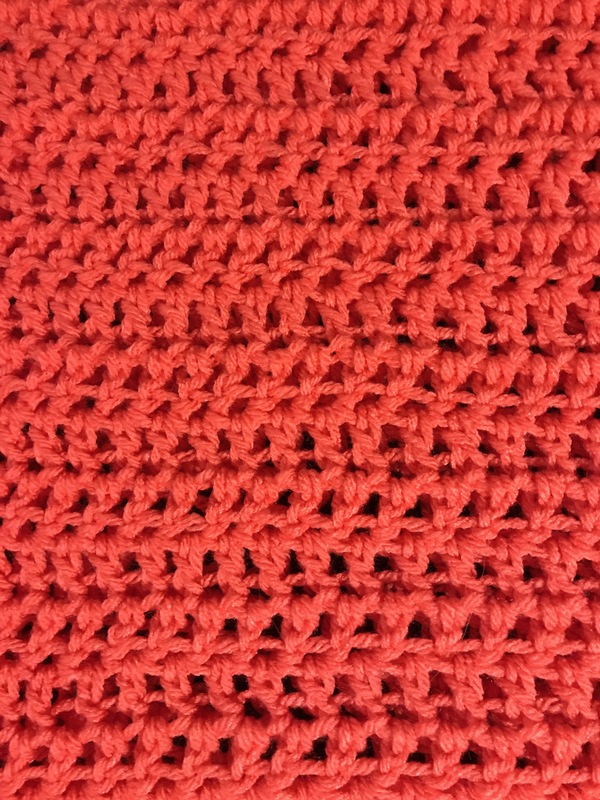 If you can double crochet and whip stitch, you can do this! I’m working on two for me and two for gifts. 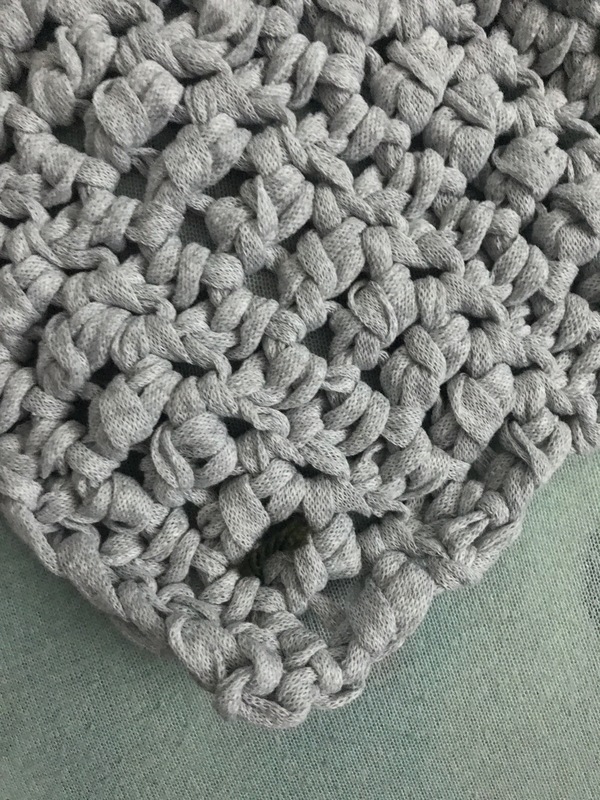 The chunky one is made from Lion Brand Fast Track yarn in Chopper Gray. 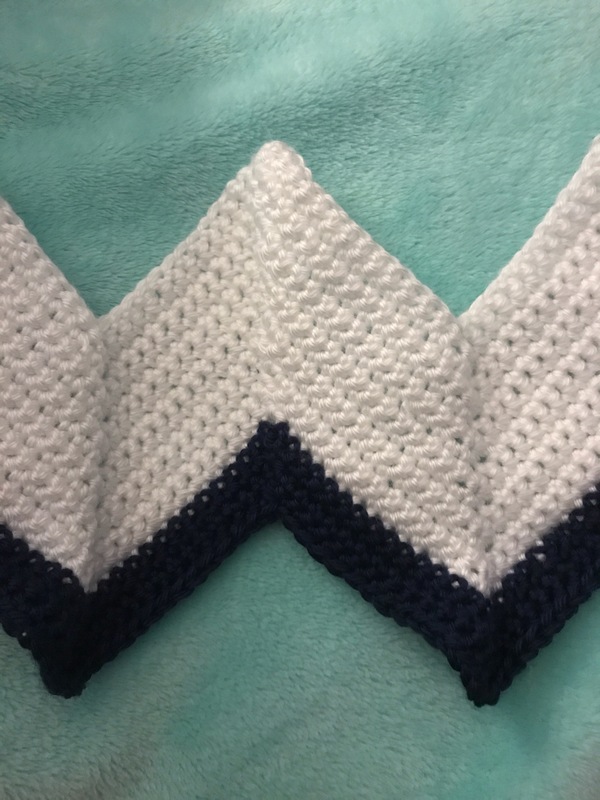 I adjusted the pattern a little to make that one about the same length as the others and used a larger hook to give it those beautiful big stitches. 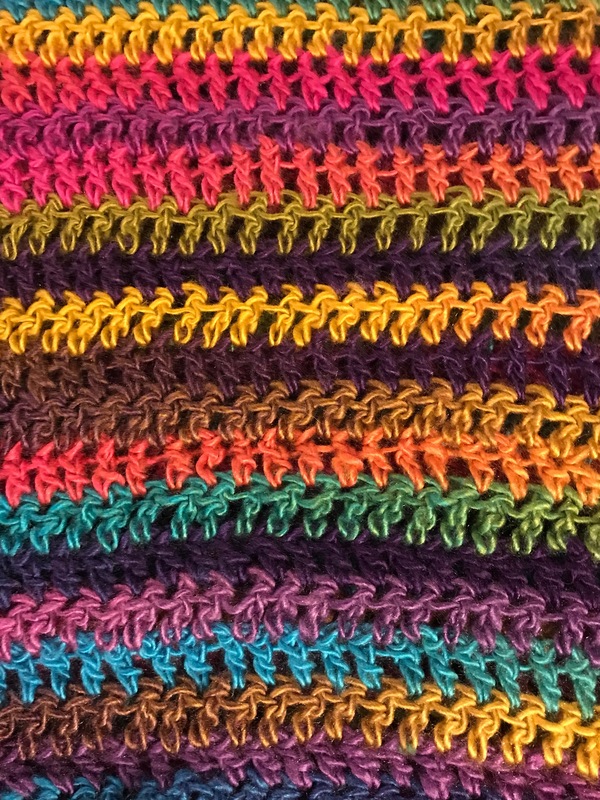 I’m out of the Fast Track yarn but I’m heading to JoAnn’s tomorrow. I’m not sure if my local store carries it but if not, I’ll order more online (it’s on sale for a little over $5 right now an it’s usually $7). 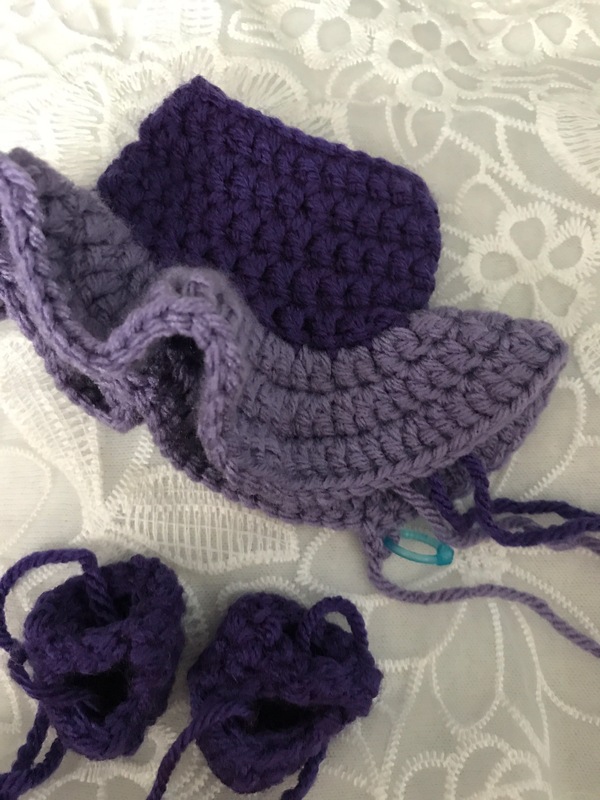 Project number 6 Is my most urgent project but I’ve gotten as far as I can until my JoAnn’s trip because I need to get wire for her glasses44xzzz. 😬 She will be Elphaba from Wicked in her school uniform. My aunt commissioned me to make it for my cousin, a true thespian and lover of the land of Oz. 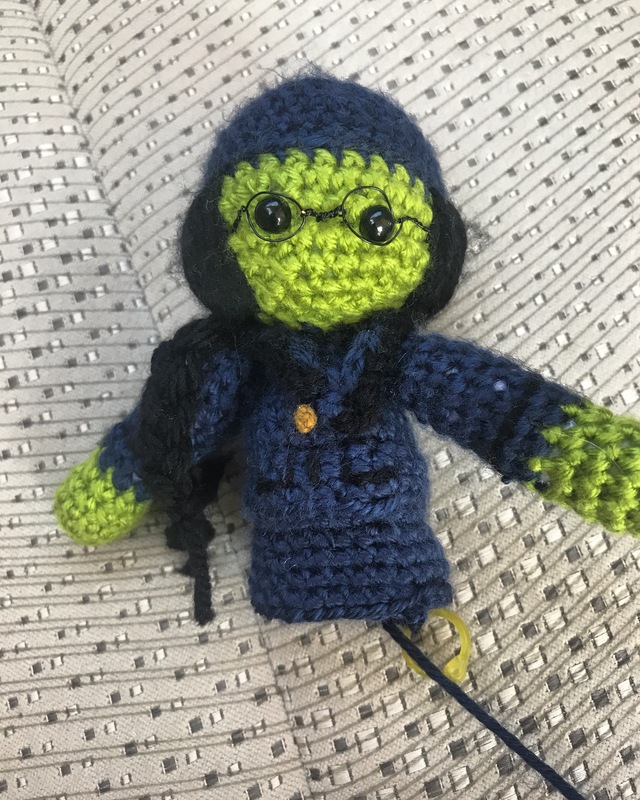 I need wire to make Elphie’s glasses before stuffing her head and continuing the project. I will be working long and hard Friday to finish her before I see my aunt on Saturday for the previously mentioned wedding. I have found that I prefer to yarn under for my amigrumi projects which makes them smaller. 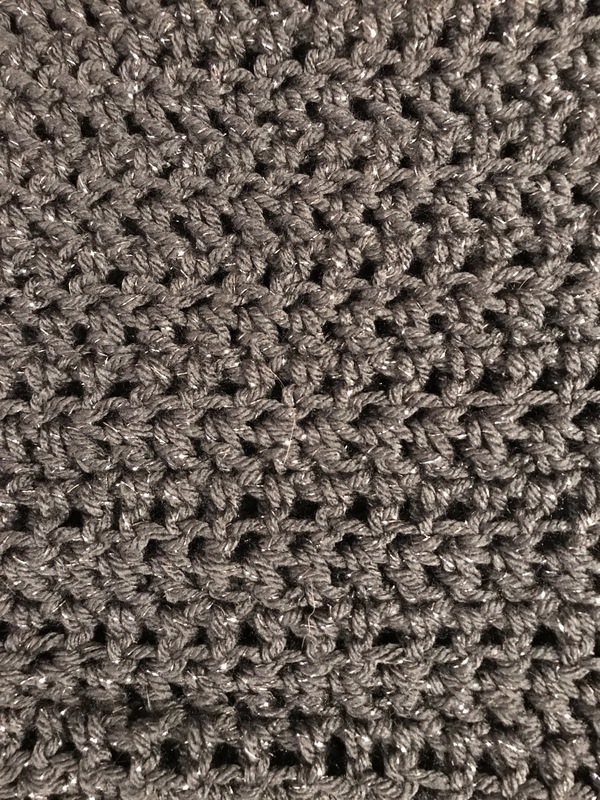 I do increase the hook size accordingly, but especially when I’m using dark yarns, I don’t like the stuffing to show through. 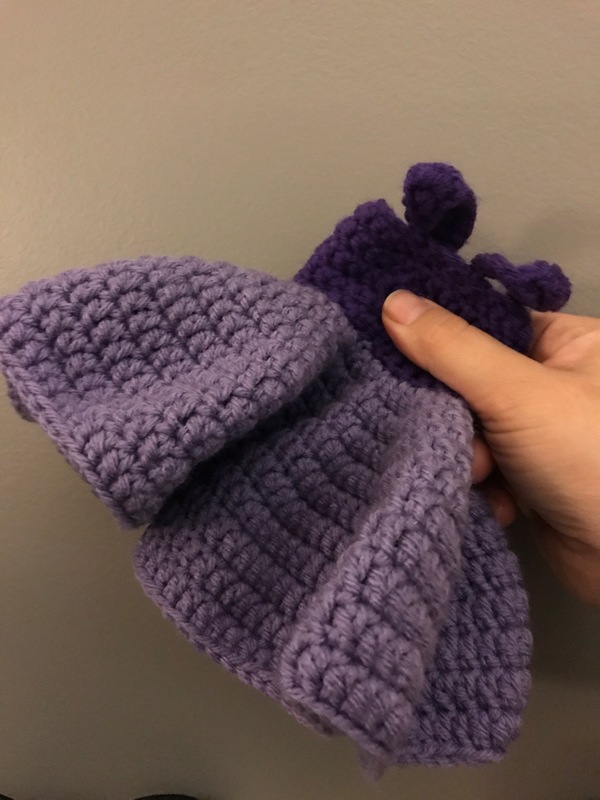 It does a little bit not as badly in projects where I did yarn over instead. 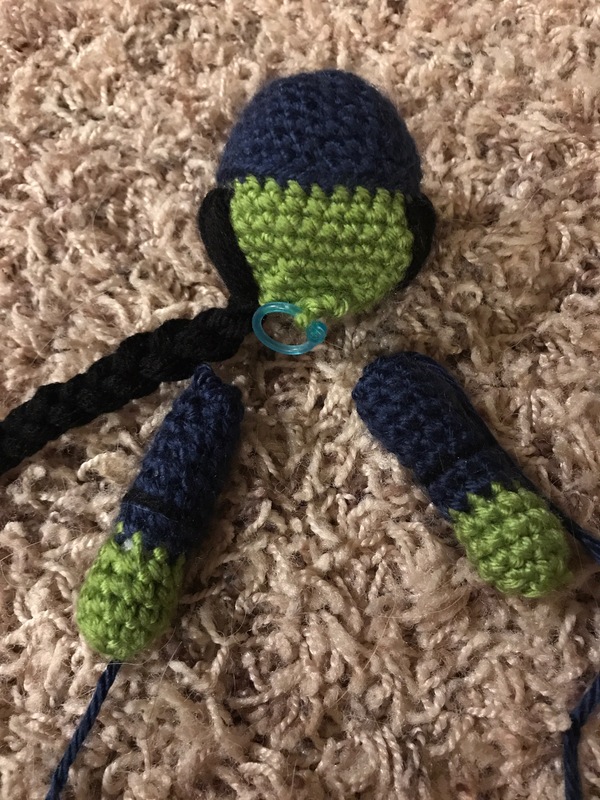 I’d really like to begin contributing to Octopus for a Preemie so using the yarn under technique is good practice for that. There you have it, all 7 projects I am actively working on. I have a few projects slated to begin ASAP, once I finish a few kimonos, Elphaba, and the espadrilles. The doll project is going to take a while and I try to accomplish a few pieces each week. 😉 Thanks for your interest in seeing what I’m working on!